Three Months. 30+ Lives Saved. More than 30 chickens, ducks, and turkeys were rescued from the horrors of factory farming and slaughter thanks to the actions of many dedicated individuals willing to act on behalf of the animals worldwide! Each individual bird who was liberated and rescued will no longer suffer in revolting conditions or at the hands of their captors. forces ALF activists to hide behind masks of anonymity. Ronnie Lee, Robin Lane,and Robin Webb are three such individuals. All of them, at one time,held the position of a British ALF Press Officer. 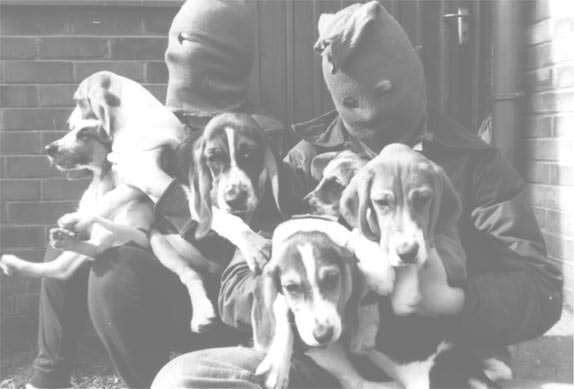 Their job was to explain to the mainstream media why the ALF takes nonviolent,yet illegal,direct action to stop animal abuse. Everyday, animals suffer in unspeakable conditions. And the people who rescue them are slandered as “terrorists”. behalf of the brave individuals who must remain anonymous for the animals. liberators and be the voice for those behind the mask. If sending images, please send high resolution. Press Office Staff are located in New York, Los Angeles, Toronto, Michigan, North Carolina and Istanbul.